When you visit The Dental Spa at Dr. Propes' Office, your smile is our top priority. Dr. Propes and his entire team are dedicated to providing you with the personalized, gentle care that you deserve, in a friendly and warm environment. Most important, Dr. Propes and his talented group of dental professionals will listen to your concerns, answer any questions you may have, and work with you to find the best dental therapy that works for you! Please browse through our website and be sure to give us a call if you have any questions or would like to schedule an appointment at (209) 722-6203. 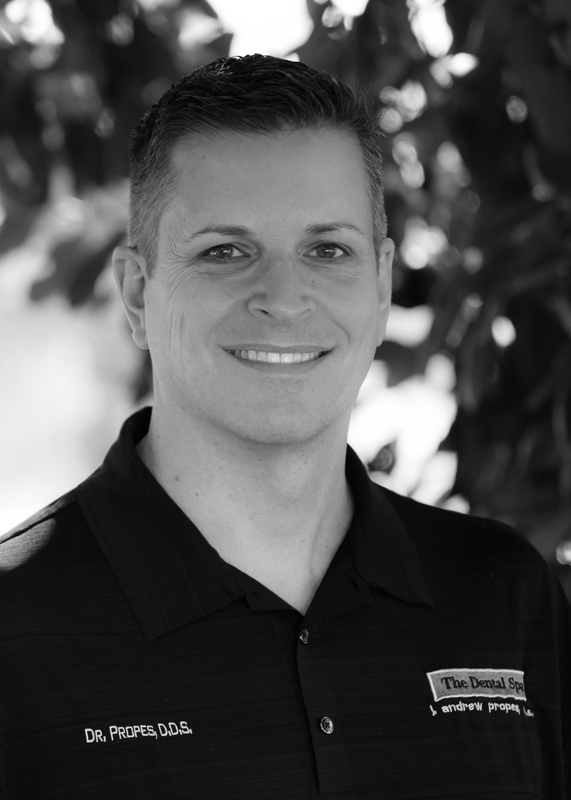 Merced Dentist, Dr. Andrew Propes is dedicated to cosmetic dentistry such as Exams, Teeth Whitening, Veneers and more. We are looking forward to your visit to our Merced, California dental office.